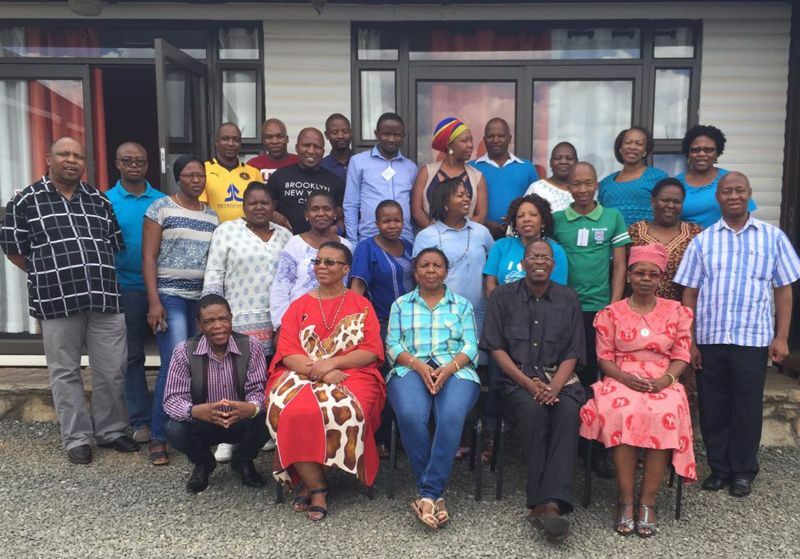 Under the auspices of the ICPCN and in collaboration with the Lesotho Ministry of Health (MoH) a week-long training of healthcare professionals in the principles of children’s pallaitive care took place in Maseru, the capital of Lesotho, last month. The training which took place from 16 to 20 January 2017 is being funded by the Open Society Foundations of Southern Africa and is the first training of this kind to take place in the small African mountain kingdom of Lesotho. The training was led by ICPCN’s Busi Nkosi with assistance from fellow trainers, Joan Marston and Dr Julia Ambler. The 30 healthcare professionals who attended included medical doctors, nurses, pharmacists, Social Workers, priests, a dietician, an Occupational therapist and a Traditional Healer. The aim of this and future training is the development of competence in the deliverance of children’s pallaitive care and the evaluation of its impact at all health centres within the country. Busi Nkosi reports that they were welcomed by the Director: Disease Control, Dr M. Letsie, who also closed the training at the end of the week. She says the course was well received and the participants were active and engaged in robust discussions throughout the week. Speaking to Information, an online Lesotho news platform, Cancer Advocate and Non-Communicable Disease Officer at the Lesotho MoH, Sejojo Phaaroe, said palliative care should be made available for children with life-limiting and life-threatening illnesses at the country’s public healthcare centres and that health care professionals and the community at large should be aware of the need for such a programme. He added that although there is no statistical evidence because the country has no cancer registry, cases of childhood cancers such as lymphoma, leukemia and Wilms tumors are commonly found in the country’s hospitals and that with this training they will begin to develop children’s palliative care services in the country. ICPCN, in collaboration with the Ministry of Health, will be raising awareness of the need for children’s palliative care in the county’s hospitals as well as building capacity through education and training for the health service providers involved in children’s palliative care as well as monitoring and evaluating the programme rollout. Lesotho does not have existing children’s palliative care services, despite the need based on the incidence of diseases such as HIV/AIDS and cancer in children. The new collaboration between Lesotho MoH and ICPCN is expected to bring out some positive results. Clinical attachments for trainees will take place in Bloemfontein, South Africa, from March to June of 2017.